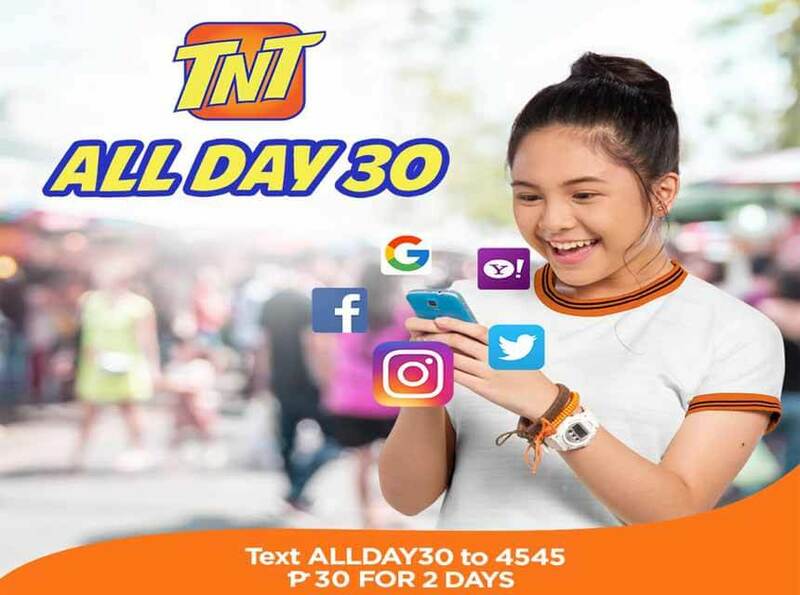 If you’re looking for a very affordable Talk N Text internet promo, check out their new ALL DAY 30 offer. Your 30 pesos gives you 2 days of browsing to your favorite sites and mobile app access. The only downside of the offer is that you can’t use it for video streaming and downloading. If you’re the kind of person who loves to stream and with heavy internet usage needs, try their SurfMax promo. This is totally different from their previous package, this latest TNT ALL DAY version has a 500MB daily data allocation until the expiry date. Registration can be done via SMS text using the keyword or you can also ask your load retailer to directly load it to your mobile number. If you prefer text method, we’ll provide the mechanics below as your reference to register ALL DAY 30 promo. There’s another cheaper offer that only cost you 20 pesos for one day browsing and app usage, check out TNT UNLI20 or ALL DAY 20 promo. After texting the above format, make sure you receive a confirmation message from Talk N Text that this promo is ready to use and active to avoid regular load deduction. For updates, queries and problem about ALL DAY 30, you can visit TNTph website and social media pages to raise your concerns.